Esther David is an Indian author who lives in Ahmedabad, Gujarat, India. She writes in English and her novels are based on the Jewish experience in India. She weaves her stories around the Bene Israel Jewish community of India. Esther David has received the national Sahitya Akademi Award for 2010 for English Literature from the Government of India. Esther David’s novels are based on the Jewish experience of living in India. She is often known as an Indian Jewish Author. She has also received the Hadassah Brandeis research award with photographer Bindi Sheth to prepare a photo-documentation on the Jews of Gujarat. Exhibitions of the same were held in Ahmedabad, Vadodara, New Delhi and Bangalore. 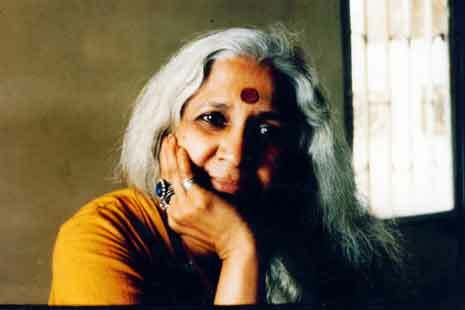 Esther David was Writer in Residence at Villa Mont Noir, France in 1999-2000 and at St. Nazaire, France 2001-2002 and co-ordinated a review magazine on Indian literature for Maison des ecrivains et Traducteurs. Esther David was art critic and columnist for Times of India Ahmedabad edition, Femina Gujarat, Ahmedabad Times and Ahmedabad Mirror from 1979 – 1993 and 1996 – 2011, where she wrote about city, heritage and food. 2000 – The commemorative volumes by Penguin India for 20 years in publishing have included extracts from Book of Esther for Volume-1. 2001 – Participated in seminar by Asmita and Womens world, Hyderabad. 2001 – Participated in, Shakti, a conference held by Ministry of HRD, national seminar, department of English, Gujarat University, Ahmedabad. 2002 – Participated in Les Belles Etrangers, a 15-day conference of 20 Indian writers, organized in France by the French Ministry of Culture. 2003 – Participated in UK-South Asian Women Writers Conference by British Council at New Delhi. 2005 – Participated in Remembered Rhythms in 2005, at American Institute of Indian studies, New Delhi. 2007 – Participated in conference of South Asian Women Writers by Womens’ World International, New Delhi. 2008 – The Worry Box and the laughing Lady; a short story was published in – The anthology: City Stories by Scholastic India. 2008 – Nanki Chirai – a short story was included in Jasbir Jains anthology; “Growing up as a Woman Writer” for Sahitya Academy New Delhi 2008. 2008 – Israeli scholars Dr. Shalva Weil and David Shulman authored the book KARMIC PASSAGES and wrote a chapter on Esther David – The Bene Israel Jewish novelist who grew up with a tiger. 2009 – French translation of Book of Rachel-Le Livre de Rachel translated by Sonja Terangle was awarded Prix Eugenie Brazier. 2010 – Speaker at Jewish Book Week, London. 2011 – Keynote speaker at International Symposium at Faculty of Humanities at Indian Institute of Technology, Gandhinagar. 2011 – Lit For Life – Participated in 20th anniversary of The Hindu Literary Review conference, New Delhi. 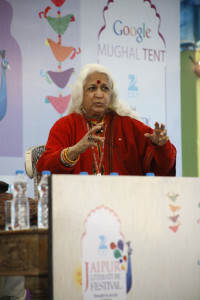 2012 – Participant and speaker at Jaipur Literature Festival. 2012 – Participant and speaker at Festival of India in Israel. 2012 – French translation of Book of Rachel – Le Livre de Rachel was presented in Salon du Livre de la Haute Vallee de Chevreuse, 12eme Saison at Lirenval and awarded Prix Michel Tournier for best translation to translator Sonja Terangle. 2014 – Participated in an international conference on The Jews of India at Indira Gandhi National Center for the Arts, IGNCA, New Delhi. 2017 – Novemeber – Israel – Esther David was part of a six member writers delegation to Tel-Aviv, for a symposium on Indo-Israeli Literature : Past, Present and Future, organized by Indian Embassy in Israel, Sahitya Akademi, New Delhi, the Hebrew Writers Association, Israel, where she spoke about Indo-Jewish literature. 2019 – January 12-14 – Bhopal Literature and Art Festival organized “Heartland Stories” at Bharat Bhavan. Esther David spoke about her novel, “Book of Rachel”. 2019 – January – Kochi – Esther David spoke about her father – “Reuben David – The Jew and the Zoo”, at a conference, “Jews in India-Jews of India.” by Sri Vishnu Mohan Foundation. 2019 – February 23-24 – TOI Lit. Festival.